Posted: Thu Feb 09, 2006 7:14 pm Post subject: LOWLIGHT FLOOR MATS... THE SOLUTION! I'm restoring a 58 cab for a customer and friend that is as picky as I am when it comes to details....so as this restoration progresses we have decided that we may make an effort to reproduce the tunnel/floor/wall mats. My friend lives in Detroit, he has many connections with the automakers, so it maybe a possibility. The only problem we don't have anything to work from. So, we are asking for a mostly complete sample. It can be in 100 pieces, as long as it's taped together. I can't promise this WILL happen, but we are willing to shop it around. Douglas, It’s always great to have creative folks looking into making good repops for Ghias, and other cars. 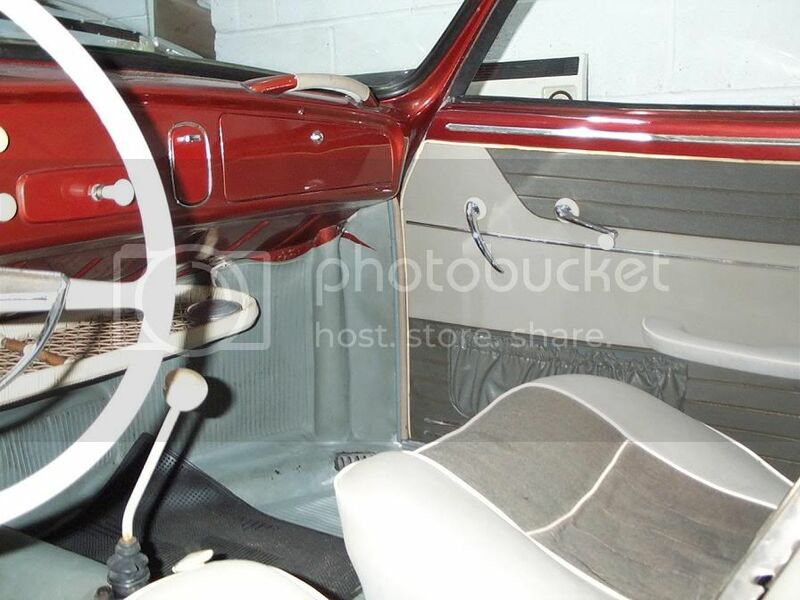 Perhaps you may have not looked into the availability of Ghia floor mats in this case, though. I have been making reproductions for all years of Ghia for close to ten years. 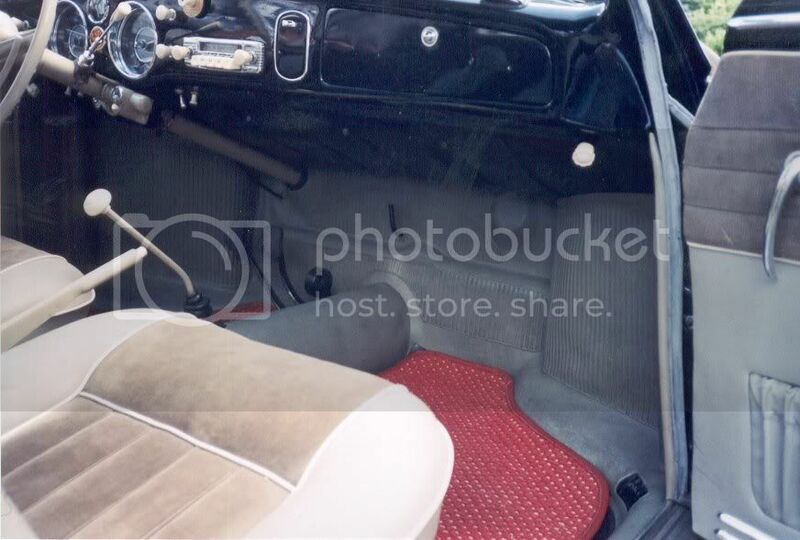 Click "Ghia Mats" below to see my ad. I know you reproduce the flat floor mats. We are looking to reproduce the early lowlight convertible front inner fender well/bulkhead/tunnel mats. I have seen your mats in a friends (Hans C.) car....they are nicely done. We have no plans to reproduce something already done. We have plans to use your floor mats in conjuction with whatever we are able to produce. If we can't get these mats made we will still use your floor mats with carpet. That sounds like a great idea. 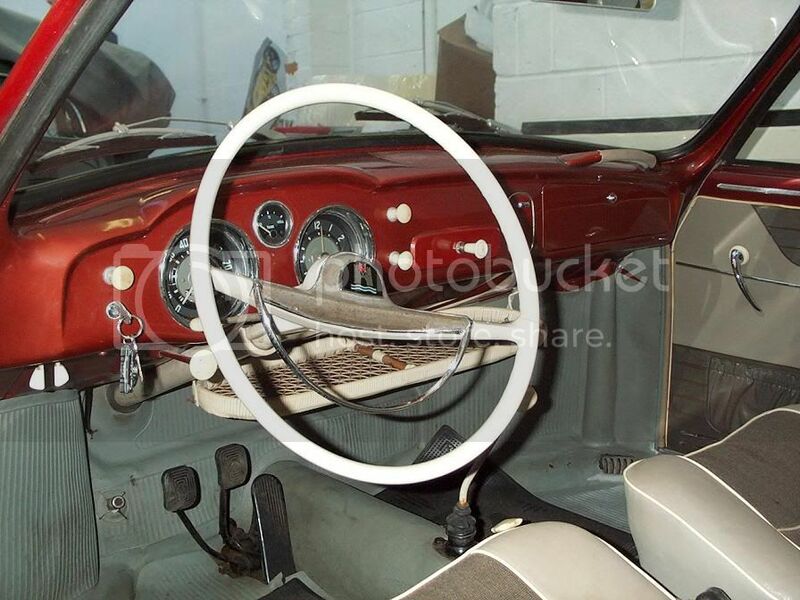 It would be very cool to see 50's Ghia interiors restored the original look. Let me know if I can be of help. i own an old trimming-frontpanel rubber with the partnumber 141863021. My rubber is put out an 1956 lowlight ghia from my bestr friend wolfram, who sell the car to spain. now, i own the rubber, but it likes an nightmare. if you want i send you pics and we have contact for reproduce them. i think john lemke can reproduce them. i have no problem to sell the rubber to usa and recieve an repromat. a lot of lowlighter seeks this mats. what are the differences with 56/57/58/59 bulkhead mats? 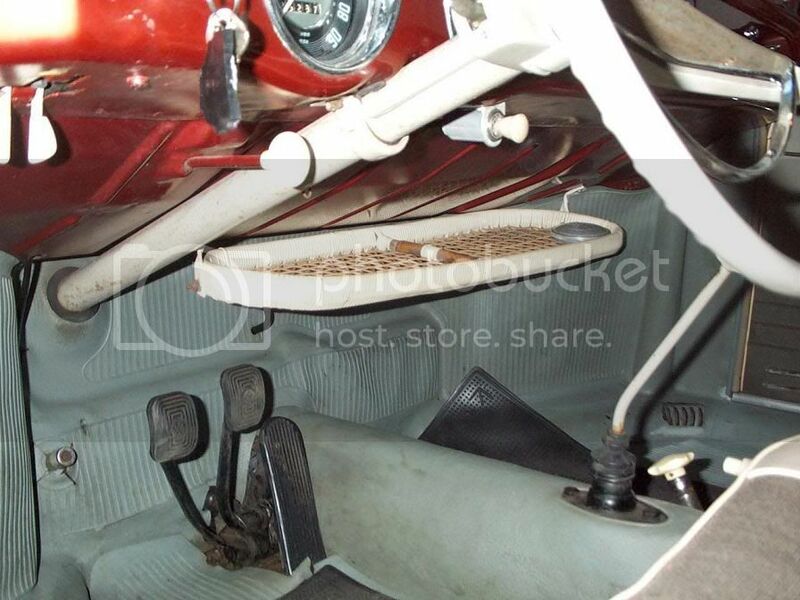 but the 56s - didnt they include a piece of carpet down low, covering the sill area/heat outlet section etc? can we get some pictures posted up, showing all the different bulkhead mat details, help dougie out? cool mats in a cool '58' coupe owned by an even cooler guy!! not sure how accurate this is? ie should the tunnel area & sill area be carpet on a 56? jeff, maybe you have a better pic/accurate details for 56s? Thanks for the offer....we however, are committed only to the convertible mats at this time. Rockstock, thanks for the pictures....some of which you have already sent me via pmail. It would be GREAT to get as many pictures as possible, but we really need a template, ie. an original mat to make this happen. Like I said it can be in 100 pieces as long as it's taped together. what are "bulkhead mats "
i reproduce the flat plexis for licence house lighting part no 141943121. i hope that the parts will be ready in march. we however, are committed only to the convertible mats at this time. udo - the bulkhead mat - the vertical mat section all around the front, behind the pedals, around the heater tubes left & right, around the dipswitch, around the heater outlets etc etc etc etc - all one piece - is this not the section you have??? So your saying that Udos example would be a sample/template we could use for a 57-59 or since it's from a 56 we are SOL? Great news for all Lowlight owners somebody is going to reproduce the bulkhead mats. 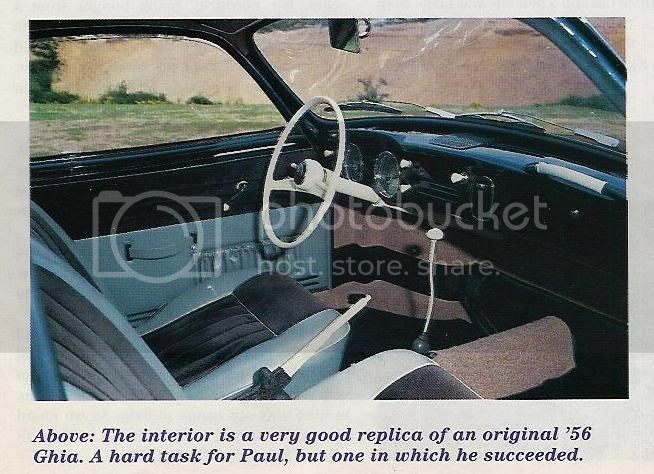 I have just checked my Attention All Service Stations Brochure and I am pleased to say Paul Mansfield's reproduction as shown by Mr Rockstock ( above) is correct. View my rare literature For Sale. I might have what you are looking for. It´s in pieces but it´s all there. Have had plans to make a repop myself but ...you know....time!!? I planned to make an "open" mold and make it from there. Well that is what I figured out laying there awake at nights trying to solve the lowlight bulkhead problem. Colors?... They came in different colors. is 'Bodenbelag' german for mats?